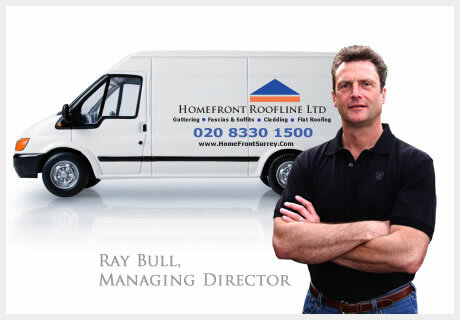 The Homefront Roofline Ltd of Surrey, specialists in the repair and installation of PVC Cladding. What is PVC cladding and what does it do? 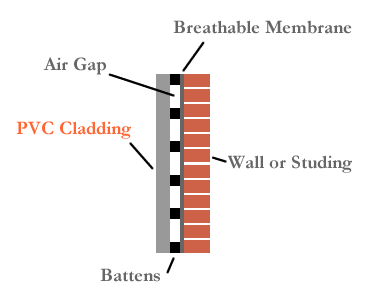 In building construction, cladding refers to the application of one material (in this context PVC) over another (often wood, bricks or building blocks). This can be for aesthetic purposes or to provide a weather-proof layer. 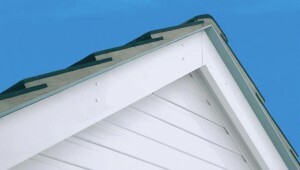 How is PVC cladding installed? 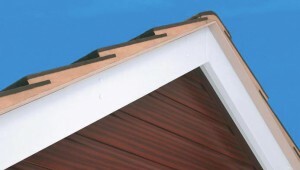 PVC cladding is usually attached to timber battens or stud work (in the case of wooden buildings). 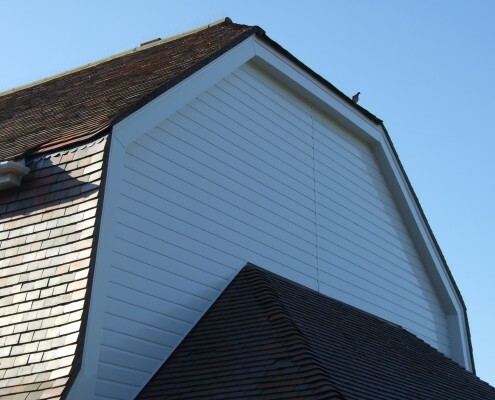 Often these need repairing or replacing before the new cladding is installed. 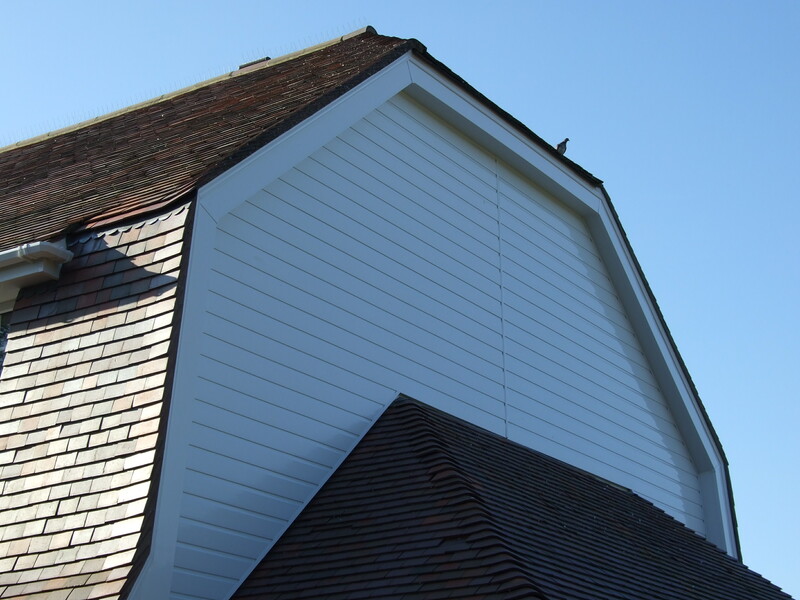 Wooden buildings often have a layer of roofing-felt underneath the existing cladding. Unfortunately, roofing felt does not breathe and modern building regulations prefer a breathable membrane such as DuPont Tyvek. This stops water ingress but permits airflow therefore preventing rot. What are the different cladding patterns? 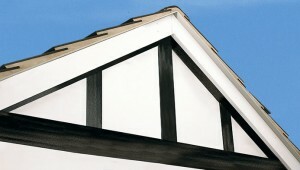 PVC cladding can be installed in a number of different patterns. 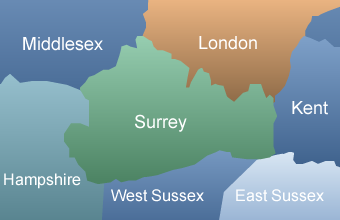 These include horizontal, vertical and herring-bone. What are the different interlocking mechanisms? PVC cladding has three different interlocking mechanisms. These include Shiplap, Open V and Tee Gee. Does PVC cladding improve the thermal efficiency of your property? Any additional layer will add some level of insulation. 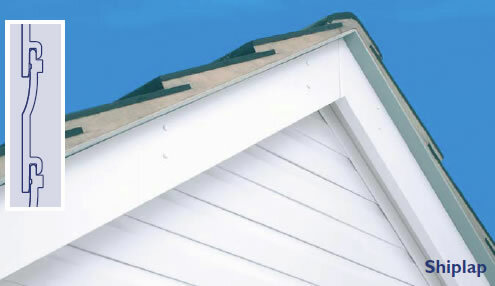 However, PVC cladding in isolation does not offer a significant level of insulation. How warm would a coat be if it was made out of PVC cladding? To make a significant difference to the thermal performance of the cladding we can install a multifoil insulation blanket such as Actis or a polystyrene insulation material such as Celotex. 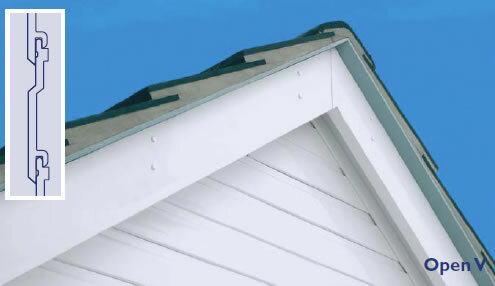 What is cellular PVC Cladding? 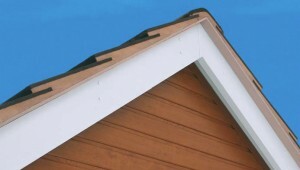 PVC cladding is often referred to as “cellular PVC cladding”. The reason for this is that PVC cladding is manufactured using exploded PVC and this is referred to as a cellular system. Click here to learn more about foiled PVC cladding.